Here we have a major repair case treated by Dr. Bisanga, last update was 6 months with more to follow. The man had undergone 3 previous surgeries, Strip and Plug leaving his donor area open and making it hard to find any unimpaired areas. His recipient was left with little yield from the surgeries and plenty of skin damage with massive ridging and pitting from the poor slit and graft placement. 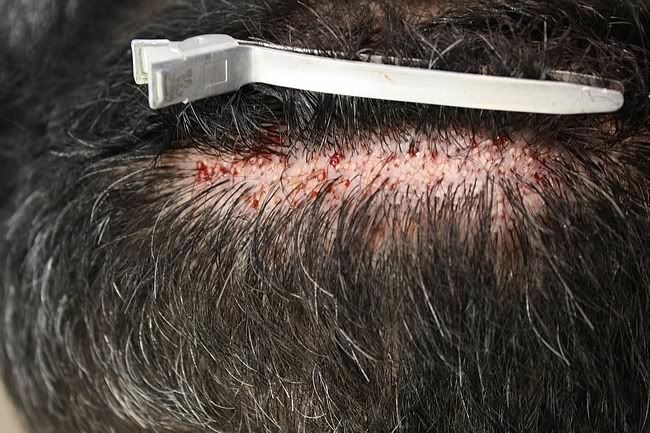 The initial goal was to to repair the pluggy hair line and increase density in the frontal 1/3, this was achieved with a combination of FUT & FUE and removing some of the offending plug grafts with FUE. 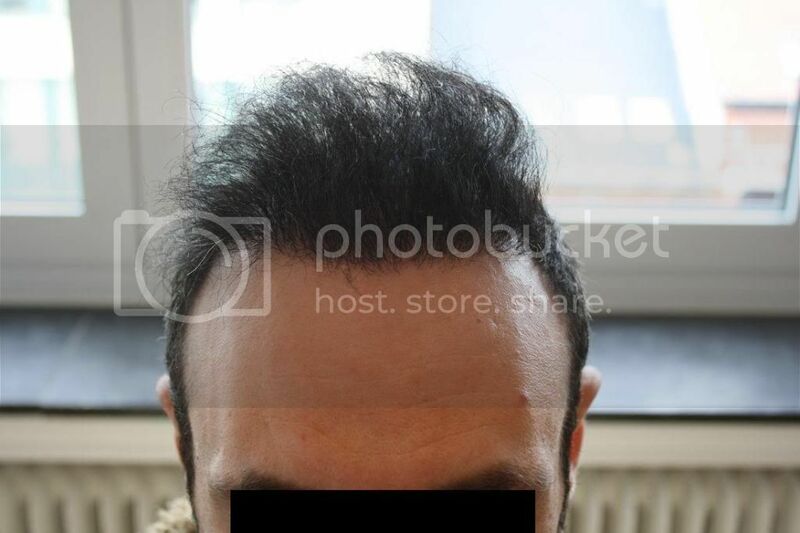 He is returning to us soon for a body hair test and assess his donor for possibly more scalp work. Poor guy, his front wasn’t the worst I have seen but the back was just tragic, what do you plan to do with the scars in the back? Big improvement, how does he normally hide the scars in the back? Did he just grow his hair very long to hide the scars? » tragic, what do you plan to do with the scars in the back? The back is more damage limitation, his laxity is not great as you can imagine with the scars traversing each and anyway, so further strip to revise and remove some of the punches will be minimal. He is returning in the next few weeks so I will be able to give you a clearer idea then, but the visit is for a body hair test, an option maybe is to place into the scar tissue and assess the yield as well as in the recipient. He is fortunate that he doesn’t have to keep too long to hide and his hair calibre helps a great deal. I’ll dig out a picture of his donor with longer hair to give an idea. Which effin surgeon wannabe butchered this man? I’d really like to see him come to shame. The donor area is one of the worst I’ve seen. BHR you did a great job at the hairline. 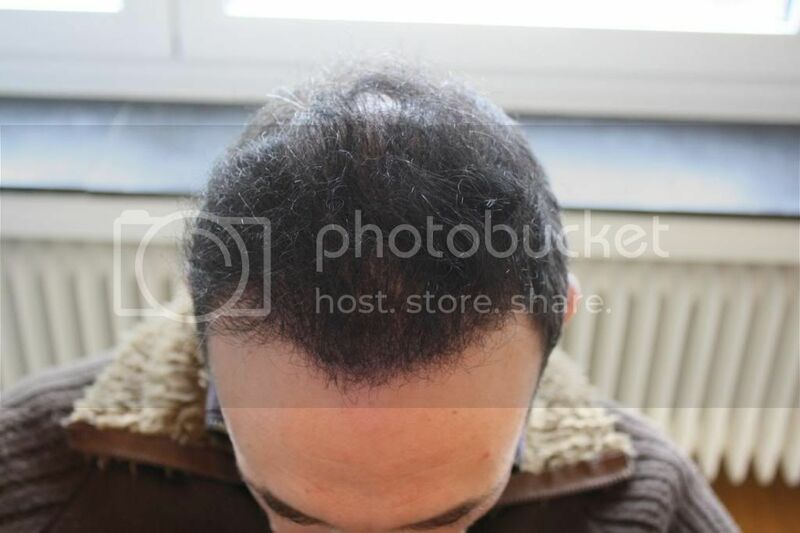 I really look forward to the repairing of his donor area and more progress in the scalp. Good work! 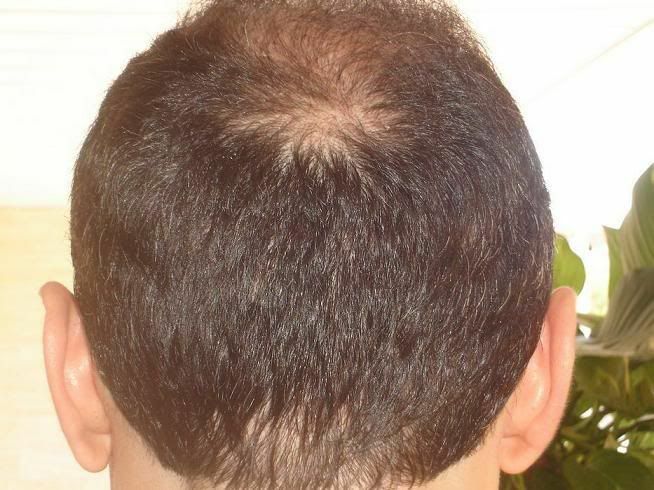 There is no way you can extract any more scalp fue grafts from him, body hair is the only answer. Very impressive repair, the patient is literally blessed with thick, wavy hair, at least enough for good camouflage . » hair, at least enough for good camouflage . You are not wrong, his saving grace is he does have good hair characteristics that actually hide much of the scarring. Here is a picture of his donor with long hair at 6 months post op with Dr. Bisanga. 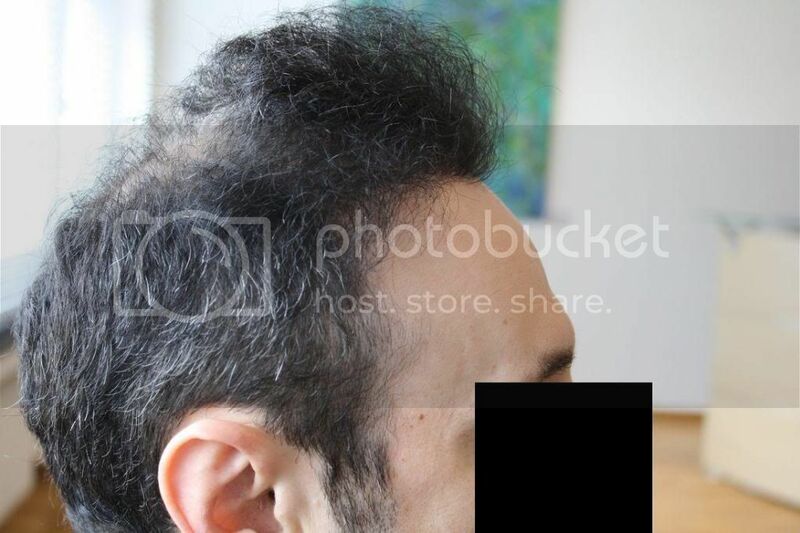 Amazing, I would never have guessed he has that much scarring underneath that hair. I wouldnt of either. He’s extremely lucky he has some very favorable assets in his hair type. I’ts simply amazing you can cover up that type of harvesting. He is lucky to look like he does now, and looks great in the front. 12 months update; he came to BXL for a BH test and to review his situation. The growth has been good, especially considering the amount of pitting and ridging he had in the recipient. The BH test will allow us to assess his potential for more recipient and donor work, the BH was placed in one of his donor scars. His donor, what he has, was also measured for laxity and density; he will be able to have another small Strip and FUE; time line for future work to be discussed as we all want to make the most of what he has. When did this man have the original trnasplant work that caused all the scarring, what year? From memory he said the first HT was about 14 years now and the others about 9-10 years ago. He is about 38 years old now. You too are very lucky to have the kind of hair you do. You also conceal the scars very well. I’m really struck with how high someone harvested grafts from you. I’m glad your hair perfectly conceals it, if it were me, I’d be totally screwed, it would all be visible on me. Thats a huge improvement. I am sorry you have had to deal with this but your repair work has made a great difference. » months with more to follow. » FUE and removing some of the offending plug grafts with FUE. » possibly more scalp work. Wow, that must of been a real challenge. I feel for this guy for having to pay good money to be butchered like that. Looks much better now all things considered. » to pay good money to be butchered like that. » Looks much better now all things considered. To follow up on the case, pictures of the Body Hair test we performed; Dr. Bisanga prefers to perform a small test first with placement of a relatively low density and then monitor over 6-12 months before making any judgements. 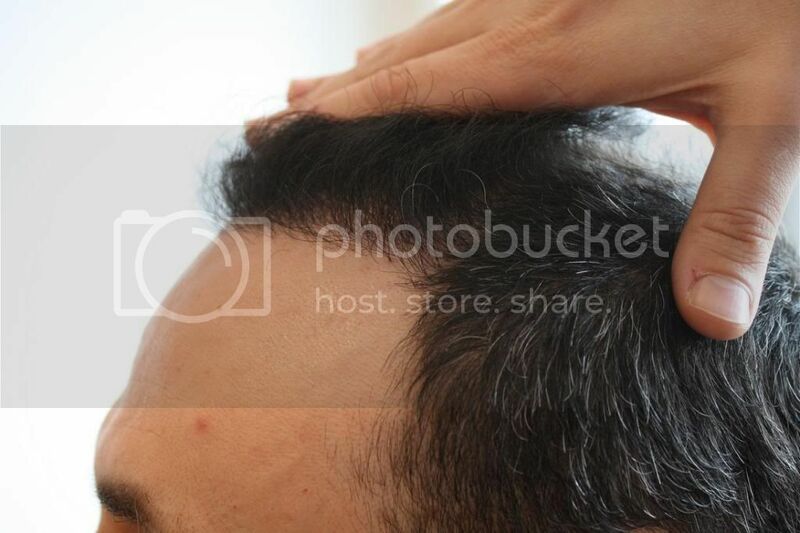 Here we have pictures of the chest donor and the recipient scar placement in the traditional scalp donor.